JC Calendar 2015 on sale now! 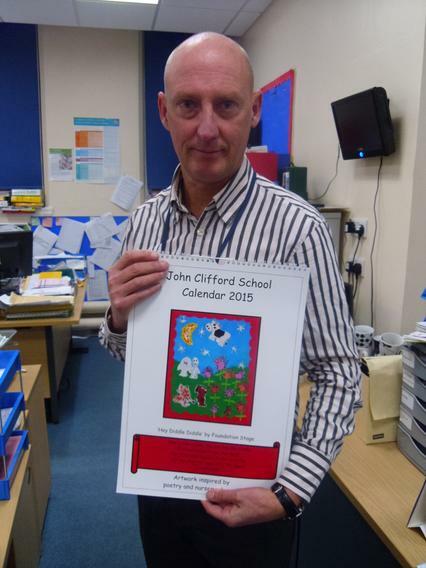 Hot off the press, the new John Clifford Calendar 2015 goes on sale Wednesday morning! Featuring the calendar board designed and painted by each class, this year's theme was poems and nursery rhymes, with each monthly page featuring a photograph and (some of) the words to each class' poem. They will be on sale from the school office and also representatives of the School Council will be selling them after school . Price expected to be just £5. Last year we sold out in just 3 days...get yours quickly to avoid disappointment!